A profound historical city with a modern yet traditional twist. George Town is the sunny capital city of the Penang state in Malaysia. The city is located in the north-eastern part of the island and has around 500,000 inhabitants. However, the metropolitan area( including Jelutong, Sungai Pinang, Sungai Nibong, Gelugor, Air Itam, Tanjung Bungah and Tanjung Tokong) has a population of around 2.5 million making George Town and the metropolitan areas around it the 7th most populated city in Malaysia. You may have noticed that “George Town” doesn’t sound very Malaysian…The area was once known as Tanjung (Cape). In 1786 the area became established which was founded by British Captain Francis Light. Light named the area after King George III. George Town has an eventful and a fascinating culture. It’s renowned for being the UNESCO World Cultural Heritage city beaming with cultural and historical sites. George Town has truly got it all- historical old towns, new striking skyscrapers, old and new landmarks, large shopping malls and quaint traditional flea markets. The many mansions, religious buildings, and temples serve as tourist attractions and also educational or religious areas for residents. Living in George Town gives inhabitants the metropolitan Malaysian lifestyle coupled with western influences. George Town, with its sparkling skyline, becomes an extraordinary city when lit up at night. It’s described to be an incredibly artistic city attracting imaginative people adding to the city’s well-established bohemian style. A lot of foreigners are renting and purchasing homes in George Town. Many are buying historical heritage hours, condos, villas and terraced houses at good, stable prices. There are also many luxurious condos and other housing in the city. Unlike other Asian countries like Indonesia or Thailand, you own the property and there are no complex purchases through unreliable companies. The same rights apply to foreigners as they do locals which puts your mind to rest when buying a property. The British legal system is implemented in Malaysia and everything is done lawfully. There are no limitations on the type of property foreigners can rent or buy. However, purchasing agricultural land can be more complicated as it requires extra documentation. Large amounts of foreigners opt for George Town and its surrounding areas such as Gurney Drive (situated in the northern part of the island) as there are many activities, events and clubs. However, the northern areas can get very congested. George Town is a vessel of creative stimulation and is the heart of the island with life pumping through it day and night. If you want a modern life but with lots of history, an exotic climate and be surrounded by lush, tropical nature then this place ticks all the boxes. Throw in a low cost of living and you get yourself a pretty fantastic deal. These days, not many places offer that especially as in George Town you don’t even have to learn another language as English is one of the main languages. 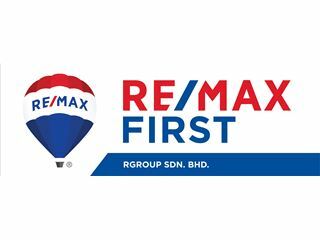 What seems to be a common thing among expats in George Town is that they have the financial freedom to realise their professional and personal dreams due to the relatively low cost of living and opportunities set against the backdrop of an international inspiring metropolis. Expect some of the best cuisines in Malaysia- traditional and western influences and artistic vibes in the streets. The architecture is surely unique making each section of George Town beautiful. Meet expats from all over the world and enjoy special events, bars, clubs and a wide array of activities in the malls or outdoor excursions in nature. Taking a break from the hustle and bustle of city life is easy. From the island of Penang, you can drive 2 hours to the south of Thailand for stunning beaches and breath-taking landscapes. Keen shoppers or shopaholics will feel right at home in George Town as it’s the shopping capital of northern Malaysia. Both modern malls, old shop houses, and authentic flea markets sit next to each other creating a diverse and quirky shopping experience. Eat your heart out in the heart of the city because it’s one of the top places in Malaysia to experience local delightful treats and award-winning restaurants. Have a leisurely low priced lunch or a fancy meal in Malaysia’s finest gourmet restaurants. George Town’s warm and sunny climate allows tropical mouth-watering foods to be readily available all year long. A place to visit is the New Lane Hawker Centre where sellers set up shop around 4pm offering lashings of meats, juicy sauces, and exotic veggies. With brightly coloured chairs and tables, many locals gather to hang out and enjoy the scrumptious rice, noodles, and barbecued meat. The place provides an experience you can’t get anywhere else. Travelling to George Town entails flying to Kuala Lumpur International Airport (KLIA & KLIA2) then it’s just a short flight to Penang International Airport (PEN) which is one of the oldest airports in Malaysia. Public transport in George Town is good including buses, cycle rickshaws and a plan to implement tram lines. The port of Penang is one of Malaysia’s largest with 4 terminals. The port is industrial, shipping exports to over 200 ports around the world. It also accommodates tourism. From this port, visitors can get to places like Phuket, Thailand and destinations in Singapore and many cruise ships stop there too. Penang is connected to the mainland by a six-lane bridge (Penang Bridge) so travelling by car to other places is not a problem. George Town has a widespread road network connecting the city centre to the suburbs. The Jelutong Expressway leads to the Penang Bridge, the expressway can be accessed in the city. Many government owned or private schools, colleges and universities are located in George Town. There is no shortage of academia in this prosperous city. There is an abundance of things to do and see in the precious city and is even better enjoyed on foot or by cycle rickshaws which are as cheap as chips. This way visitors can take their time, spotting little special details, striking architecture or smelling the tasty aromas of Malaysian food which roam the narrow, picturesque streets. 1. Cheong Fatt Tze Mansion- a stunning antique bright blue mansion on of the most famous attractions in Penang. 2. Kek Lok Si Temple in Penang- The most dazzling Buddhist temple lit up with traditional orange lanterns. It’s the largest one in Malaysia comprising of temples, pagodas, and delicate gardens. At night, the lights are spectacular. 3. KOMTAR- This impressively tall and shapely skyscraper is in the centre of George Town. It’s 65 stories high making it the 6th largest building in Malaysia. The cylindrical building is a marvellous piece of architecture. There is a rooftop view of Penang which is a must-see. It also has a huge shopping mall inside. 4. Kapitan Keling Mosque- An elegant Indo-Moorish-style mosque built in 1801 by Indian Muslims. 5. Penang Botanical Garden- It’s easily accessible from George Town centre to these delightful gardens filled with unusual, tropical and indigenous plants. 6. Penang Street Art- George Town’s streets became even more alive and distinct in 2012 when the council decided to let an artist paint his impressive art (reminiscent of Banksy) on the street walls. 7. SIM Leisure Escape- A fun eco-friendly haven where children and adults can partake in adrenalin-filled activities in nature. 8. Penang Wonderfood Museum- step inside the colonial building and feast your eyes on the massive display of delicious Malaysian dishes. 9. Batu Ferringhi Beach- Just 30 minutes’ drive away from George Town, visitors can soak up the rays on the tropical beach.